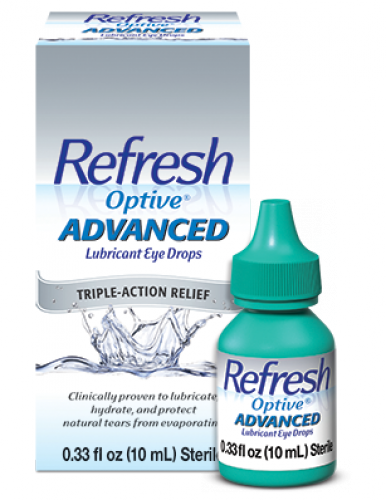 Open your eyes to an advanced drop ― REFRESH OPTIVE® Advanced. What’s more, this lipid-enhanced lubricant eye drop requires no shaking prior to use and is safe to use as often as needed. The result? 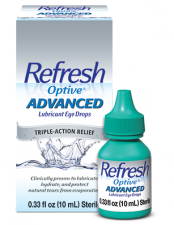 Triple-action, long-lasting relief for your Dry Eye symptoms. Also available in a preservative-free formula. TRY IT TODAY AND LET SYMPTOM RELIEF IN. Your tear film has three layers. They work together to help maintain the health of your eyes and ward off infection.